The following services are provided by the department. However, for a full list of resources offered by other state agencies, please visit the Missouri Recovery Portal. The site also features important deadlines about when to apply for assistance. 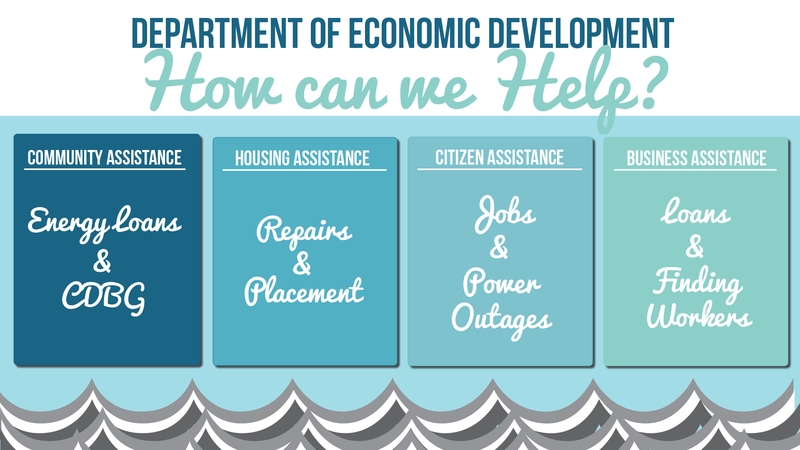 Download and print a handout listing the department's flood resources. August 12: Requests for Public Assistance from governments and nonprofits, in the seven newly designated PA counties, must be received by FEMA, after processing by SEMA. August 14: Homeowners, renters and businesses must apply with FEMA and the U.S. Small Business Administration for federal disaster assistance or a low-interest disaster loan. August 17: Workers from Christian, Crawford, Dent, Greene, Iron, Ste. Genevieve, Wayne and Wright counties must apply for Disaster Unemployment Assistance. February 2: Farmers from counties included in the Presidential disaster declaration are eligible for USDA FSA low-interest loans. March 2: Small businesses and nonprofit organizations must apply for SBA Economic Injury Disaster Loans, which are available regardless of whether the business sustained property damage. When disaster strikes, we are here to help. For job seekers, we can provide online and in-person resources, products and services to you at no cost no matter where you are in Missouri. 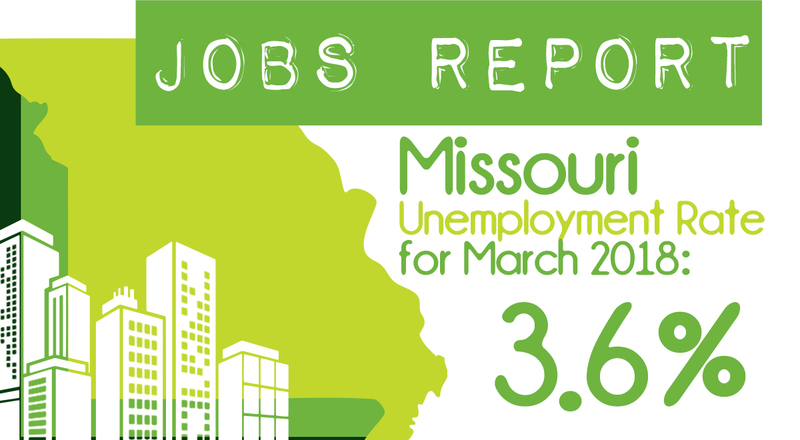 Find a Missouri Job Center here. Severe weather can strike quickly, and sometimes, without warning. Keep track of power outages and learn more about how to prepare for severe weather. Customers can inquire about outages by either contacting their utilities’ customer service representatives or the Missouri Public Service Commission’s toll free hotline at 1-800-392-4211. Contact the Missouri Public Service Commission through PSC.MO.GOV if additional assistance is needed. Do you need help cleaning up debris and muck from your yard? How about supplies for your family? Those in need of service, interested in volunteering or interested in donating to help with the recovery efforts should contact The United Way at 2-1-1 or at 211helps.org. AmeriCorps volunteers have been deployed to help communities and citizens recover from the flood. The Home Repair Opportunity (HeRO) Program provides funding to meet the need for home repair, modification and maintenance for low- and moderate-income homeowners in the non-metropolitan areas of Missouri. MHDC provides the funds to selected eligible Sub-Grantees (community action agencies, regional planning commissions, non-profit organizations, municipalities) from its annual HOME allocation using a competitive application process which begins with the issuance of a Notice of Funding Availability. If you are in need of housing assistance as a result of flooding please contact the agency listed here for your county. If your county is not listed below, please contact The United Way by dialing 211 or by using the following link: http://211helps.org/. The purpose of the ESG program is to help individuals and families quickly regain stability in permanent housing after experiencing a housing crisis or homelessness. For employers, we’re here to help you connect with those skilled job seekers. Job-matching services, hiring and recruiting events, and customized training assistance are all offered at no cost by our experienced staff. Post a job now or contact us to request assistance tailored to meet your business needs! Find the nearest job center. In order to fill out an SBA disaster loan application, a business must fill out the proper paperwork. The Missouri Small Business & Technology Development Centers (MO SBTDC) are offering their professional expertise and assistance to streamline the process. It is important that businesses can get back to running their business and can do so while still applying for a loan. To find assistance near you, click here. These loans are made to new or expanding businesses or industries needing “gap” financing to fill in the difference of what they can contribute and what they can acquire from traditional financing institutions. Meramec Regional Planning Commission- Revolving Loan Programs, etc.